The Coogee Pavilion has a nice charm to it. It’s usually my stop off before doing the Coogee to Bondi walk. I finally decided to get the steak there; one menu had it down as a butcher’s steak the other as a 400g T bone. It came with shoestring fries and melted shallots. I ordered it rare and took a seat by the window. 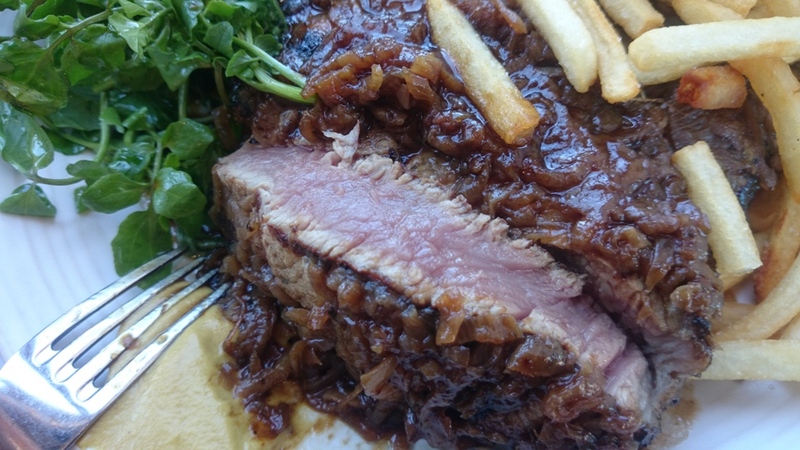 Soon after the steak arrived, the steak fully covered in melted shallots and surrounded by fries. The flavour was lacking, a steak of poor quality and definitely bland. The melted shallots helped and were lovely, but not enough to bring it back from pour quality beef. It was cooked well but the tenderness was fifty-fifty, probably due to the poor quality meat. Overall a good looking but flavour lacking steak. 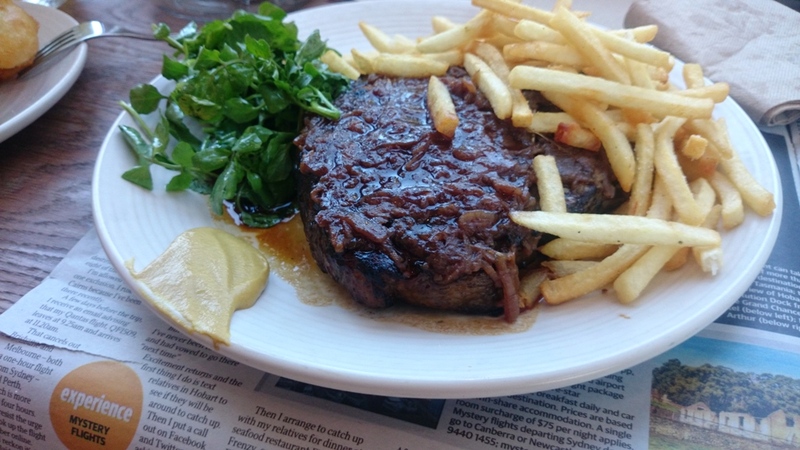 Posted on June 18, 2015 June 18, 2015 by AdrielPosted in Steak, SydneyTagged Steak Frites, Steaks, Sydney, t bone.